Not to be shown up by other more recognized nutrients, vitamin K is a powerful tool in your body’s stay-healthy tool box. Not only does vitamin K help your blood clot normally, the important nutrient also protects against osteoporosis and helps prevent cell damage. 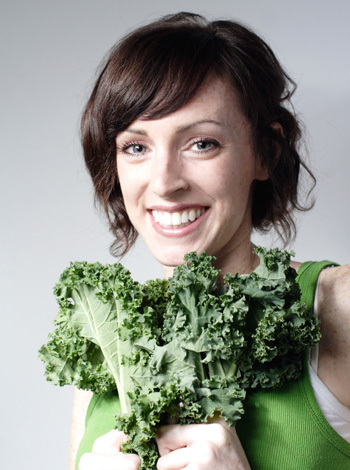 Read on to learn why you need vitamin K and how to get enough. Why is vitamin K a key nutrient? There are two naturally occurring forms of this powerful nutrient (vitamin K1, which is found in plants, and vitamin K2, which is produced from vitamin K1 by bacteria in the digestive tract). Vitamin K3 is a synthetic form of the nutrient, found only in supplements. Vitamin K deficiency is rare because it’s so readily available in some vegetables, like leafy greens, but that doesn’t mean you shouldn’t worry. Babies: Babies are born with sterile intestines, which makes it harder for them to absorb and produce vitamin K in their digestive tracts. Medication users: Certain medications (for example, those used to treat heart disease) block the body’s absorption powers of vitamin K.
People taking supplements: Research shows vitamins A and E interfere with the body’s ability to absorb vitamin K.
1. Don’t scrimp on fat. Vitamin K is a fat-soluble nutrient, meaning it needs dietary fat (like that from oils) to readily absorb into the body. 2. Be mindful about cooking certain foods. Overcooking foods high in vitamin K decreases the digestible amount of the nutrient by almost 20 percent. 3. Eat unprocessed foods. Even though vitamin K is more resilient to processing than other vitamins, unprocessed foods contain higher amounts of the nutrient than processed ones.